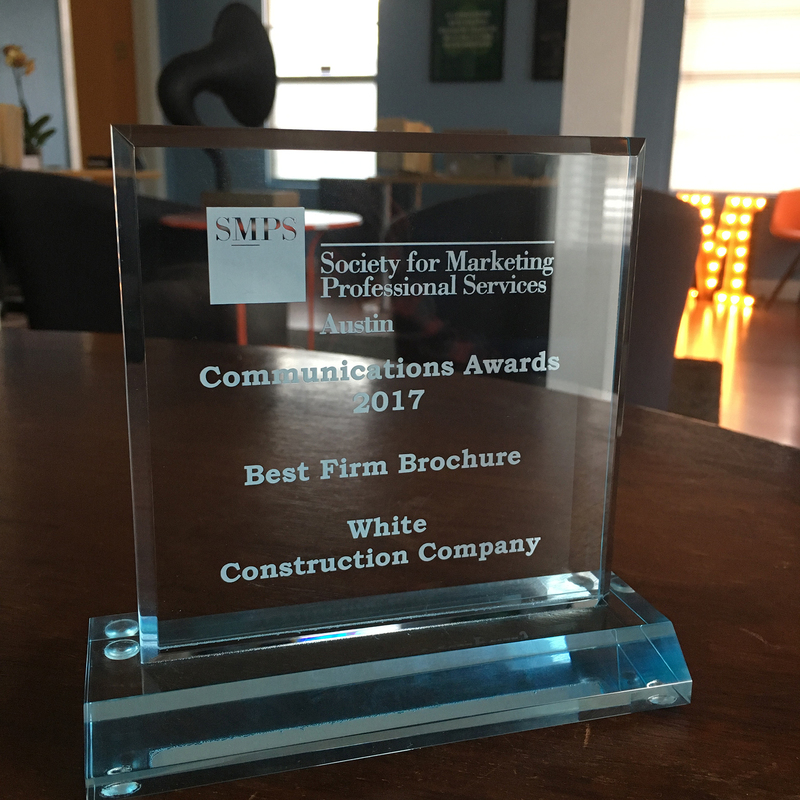 White Construction Company submitted the “residential brochure” we created together for The Society for Marketing Professional Services’ annual Communications Awards… and it won! ‘Best Firm Brochure’ was one of just seven MCAs awarded in Austin this year. 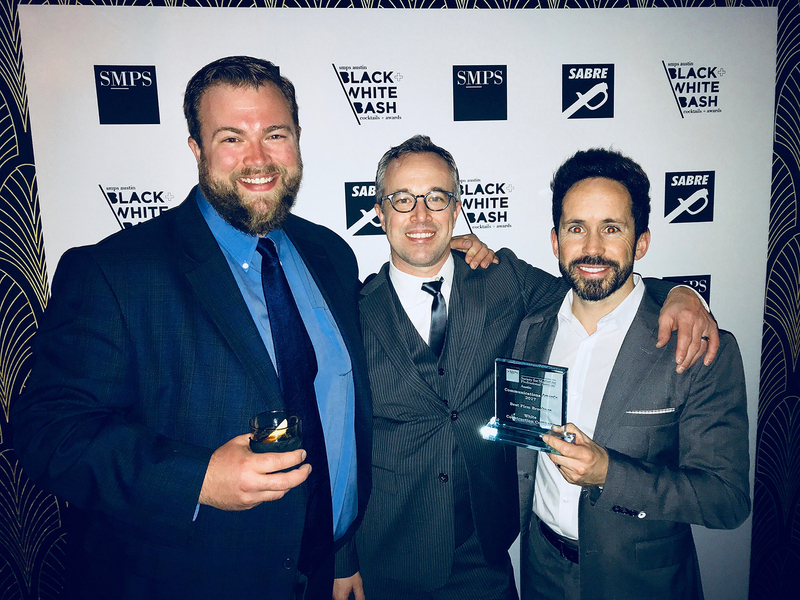 We were incredibly honored and had a great time at SMPS’s Black + White Bash, too. “Residential brochure” is in quotes (A) because, at over 140 pages, it’s more of a coffee table book than a brochure and (B) because what most people casually associate with the word “residential” doesn’t begin to describe White Construction Company’s residential projects. They’re among the best commercial and residential contractors in the world. And they’re some of the best people in the world, too. We’ll bask in the glory of this award for now… but we look forward to celebrating our relationship with White Construction Company for many years to come.